Montefiore Home Care provides vital services to patients at all stages of life—from newborns to seniors. Members of our Home Care team work closely with discharge planners, physicians and nurses to create a means for newly released patients to receive continued access to critical services and treatments in their home. Once a skilled service has been arranged, our dedicated team will assist patients with coordination of other services, such as home health aides and in-home lab services. 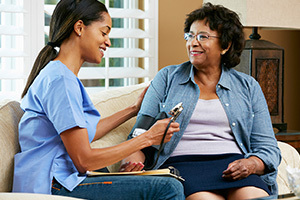 Many of our healthcare providers speak both English and Spanish, and our staff are sensitive to the unique needs of people with different cultural backgrounds. The convenience of home care can make a great difference in recovery and recuperation.